Charlie Rondot hails from Canada and has resided in Puerto Vallarta for eighteen years. During this time, he has held positions in timeshare sales and resort hotel management as food and beverage manager. This experience as allowed him to meet a large cross-section of visitors and residents of Puerto Vallarta and gain valuable insights as to their wishes and desires. Charlie has been a member of the COLDWELL BANKER La Costa Realty team as a real estate adviser for over eight years. 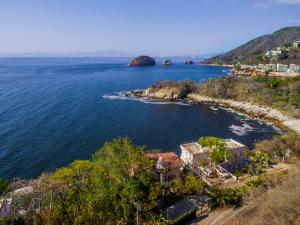 As a consistent award winner of Coldwell Banker’s International Diamond Society in Mexico, Charlie is well qualified to serve all of your real estate needs. Having grown up in a bilingual English / French environment and then learning Spanish, he can also offer you service in these three languages!